The MAC 219 pencil brush is a narrow, domed shaped brush perfect for definition of the crease and blending. I bought this brush as up until now, I only really used real techniques brushes which don’t get me wrong are very good, but I wanted a professional, clean looking brush as the RT brushes come in bright colours which to me make them look a little cheap! Currently I add definition to my crease with the RT Shading Brush, which works fine, but I am not sure it is the correct shape for my crease. It is a little squared off and with blending it can make the results a bit uneven. 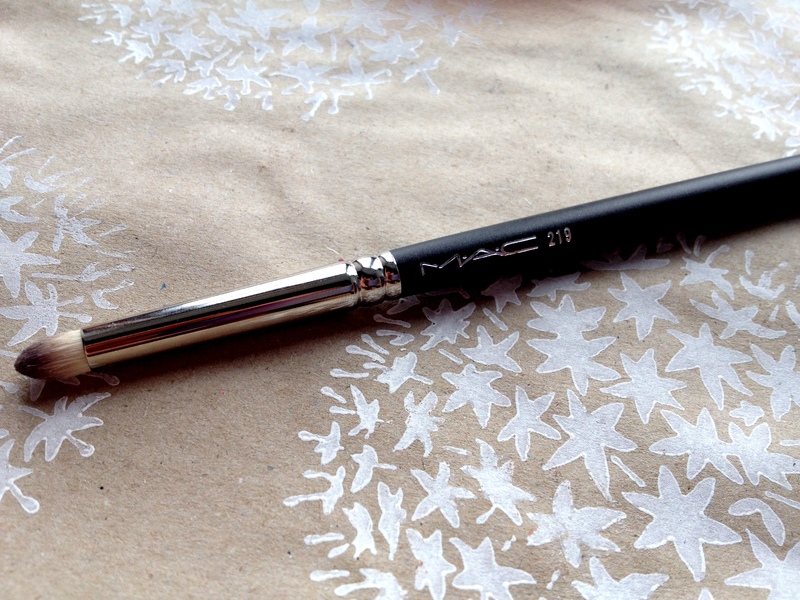 So I decided to look at the MAC brushes and came across the Pencil Brush and I loved the dome shape! I went ahead and bought the brush for £21.00 which to me for a professional brush seems totally worth it and a pretty fair price and when I received the brush I was really happy with how it looked and how soft the brush was! 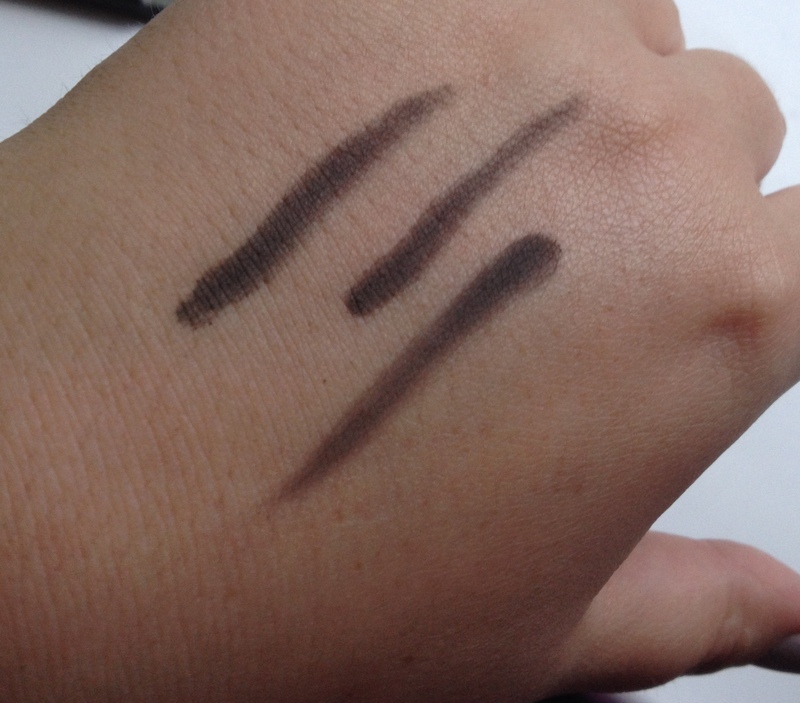 When tested on my hand with a black shadow, the 219 carries the product well and has good definition so it looks like it will create some really nice definition into the outer V and crease, and also the dome shape isn’t too small and it is a little fluffy so it also looks like it will blend out really well! I will be sure to post a make up look using the 219 concentrating on its definition and blending qualities as I can’t wait to try it out properly!